“We try to get the best cider apples we can and pay close attention to our blend,” Nate emphasizes. 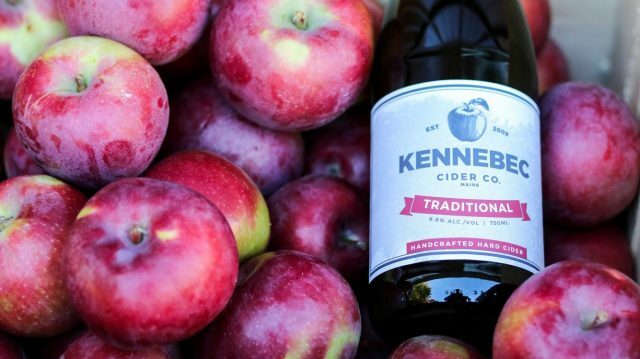 Kennebec uses a champagne yeast that “highlights the apple flavor.” Ciders age for up to a year, ferment to dryness and then bottle condition. Currently, Kennebec offers three kinds of cider: Traditional, Blueberry and, most interestingly, Quince. Quince has tannins that will “dry your mouth out,” Nate explains, and holds other properties that add a tart and astringent quality to the cider. For the future, Megan and Nathan hope to expand their cider varieties and hold more events at the orchard. 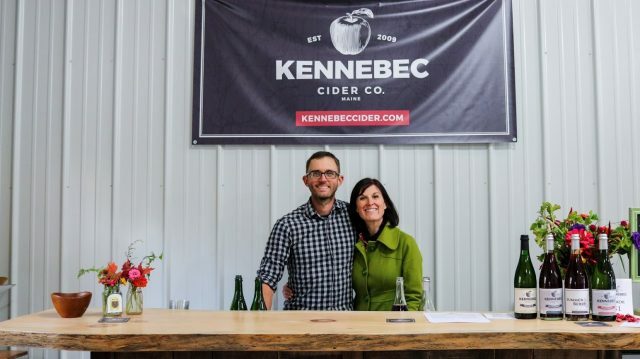 Check out the Kennebec Cider website for retail locations, or plan a visit to the Kennebec tasting room by emailing megan@kennebeccider.com. Whaleback Cider proprietor Gene Cartwright explains, “Most of the fruit I harvest in Lincolnville actually has its roots in the ocean … washed by the tide.” Whaleback Cider, located just off the coast of Maine, reflects a character much like the sea that affects it. Gene forages for what he calls “discovered fruit.” From the 70–90 trees in his immediate neighborhood, Gene says he’ll “pick three or four bushels from each of them and do single ferments.” Each batch pressed leads to an intriguing design and novel blend. 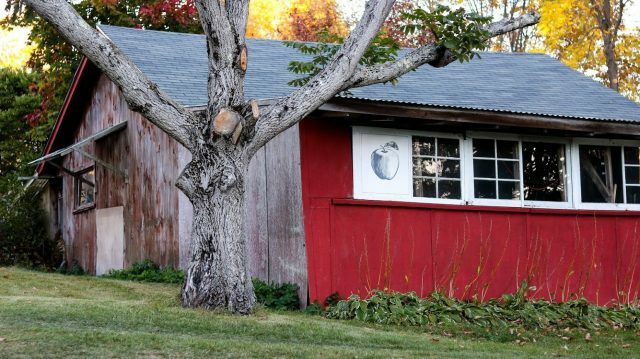 “Cider just made sense,” he says, with the abundance of apples in his neighborhood. Along with findling trees, Gene is nurturing an orchard of his own. “I always wanted a farm with lots of fruit,” Gene reflects. Cartwright ages his ciders in oak barrels, which he suggests “helps to clarify and add a little bit of tannin to the back of it.” In addition to barrel aging, Gene also adds flavor with native fruits such as elderberry and chokeberry to vary his collection. Whaleback Cider can be found at various locations in the Portland area and in Midcoast Maine. Contact Gene at whalebackcider@gmail.com to schedule a tasting. Abbey Verrier and Angus Deighan of Rocky Ground Cider met in Bar Harbor, where Angus worked and Abbey was studying human ecology at the College of the Atlantic. Abbey’s interest in cider started there and developed when she took a class trip to England to study traditional cider apples. Circa 2012, Abbey was assigned a project to plant four or five trees. Angus suggested, “Why don’t we just clear this six-acre lot?” and their labor resulted in 30 apple trees planted. 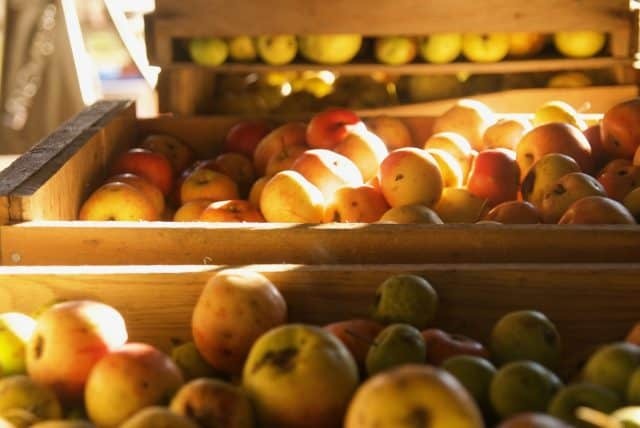 The intention was always to make cider, so they followed advice from Maine apple expert John Bunker on what varieties to plant. 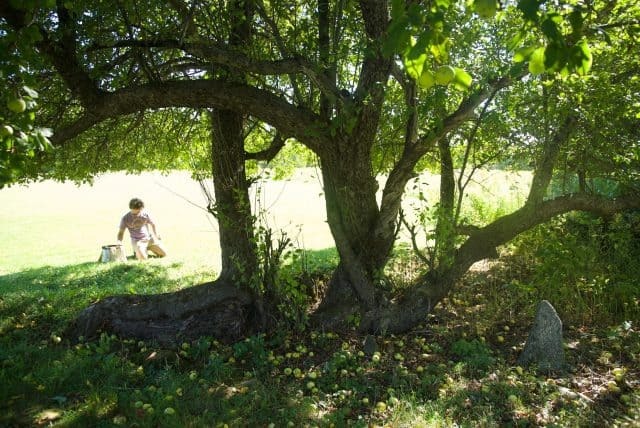 In 2013, Abbey and Angus started collecting a great deal of wild apples in their area. Each year they have increased their cider volume under a “small farm winery” license. The pair keeps track of the trees they harvest to study which ones might be best for cultivating. Email Abbey and Angus at rockygroundcider@gmail.com to find out where you can find Rocky Ground Cider in central Maine.